North Jakarta Transportation Agency has netted 555 drivers from six sub-districts throughout January 2019.
" 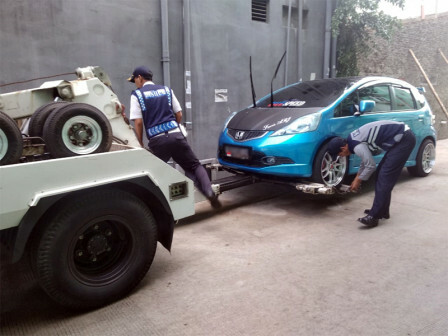 Because of illegal parking, we control them"
"Because of illegal parking, we control them," said North Jakarta Transportation Agency Head, Benhard Hutajulu, Thursday (2/7). It was conducted to follow up local people's complaint about illegal parking on neighborhood roads in RW 04 Semper Barat Urban Village and 07 Sukapura Urban Village. Similar case was also spotted on highways such as, Jalan Artha Gading Boulevard, BGR, BGI, Pluit Karang Utara, and Jalan Danau Sunter Selatan. "Last year, we managed to control 4,323 drivers by collecting mor e than Rp 2.1 billion," he stated.